With over 30 years’ combined experience dealing at the top end of the classic car market, we offer a unique level of advice and strive to help collectors in making the right choice in buying and selling their motorcars. We have built a vast and enviable network of collectors, factory contacts and historians around the world which allows us to hand-pick the finest motorcars with strict criteria for quality, provenance and originality. A great part of each project we handle is about putting significant in-depth research and uncovering the car’s provenance as we believe it stands as a crucial aspect to each specific motorcar consigned to us. 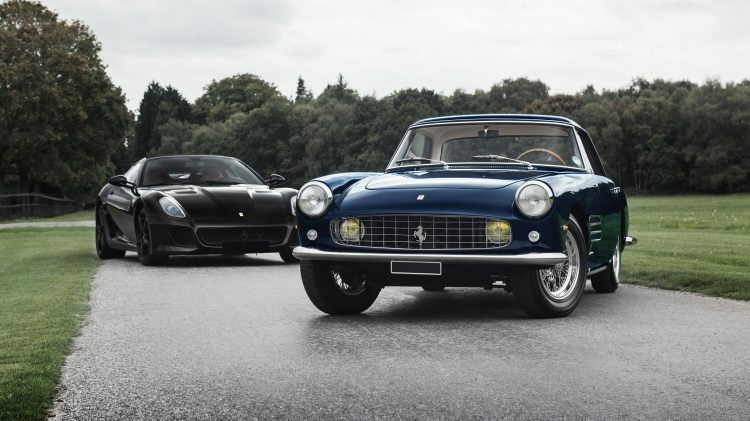 Whether classic or modern, our customers regularly engage us to successfully source important motorcars and negotiate the purchase on their behalf. Our customer’s expectations and requirements are key concerns to us. We offer nothing but the best when it comes to accompanying the client in every deal we handle, providing bespoke logistic and administrative services of the selling or buying process. We will differ from the many reputable dealers and auction houses as we act with absolute transparency when it comes to handling the purchase or the sale of a motorcar. We put our client’s interests first and constantly aim to achieving the best possible results. We pride ourselves to have helped build and consolidate highly significant motorcar collections over recent years. Our discreet and professional approach has led a large majority of our customers to come back to us time and again. Auxietre & Schmidt will be offering some of the world’s finest machines during the famous Retromobile car show in Paris on February 2019. With a varied, handpicked selection on display, our stand will represent a cross-section of the market we specialise in.